Railpictures.ca - Luke Bellefleur Photo: CN 514 is seen pulling ahead before switching cars at Agris in Thamesville. | Railpictures.ca – Canadian Railway Photography – photographie ferroviaire Canadienne. 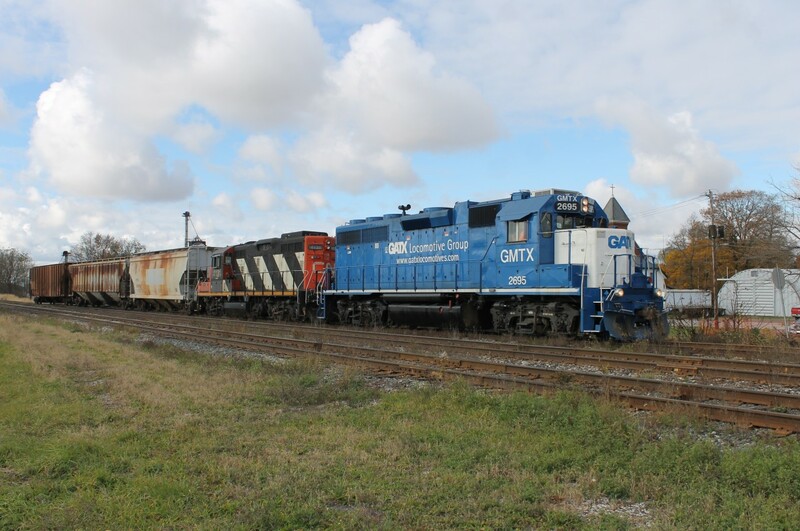 Caption: CN 514 is seen pulling ahead before switching cars at Agris in Thamesville. Love watching them climb out of there!